I have written before about my love for Atari, and how it morphed into a career and passion for design. It’s funny how some influential moments keep echoing throughout one’s life. 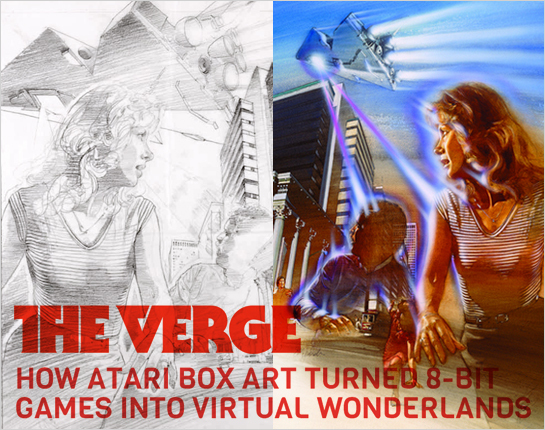 I had the great privilege to be interviewed by The Verge’s Andrew Webster about the art of Atari, alongside some of the great artistic talents behind Atari’s amazing package illustrations. 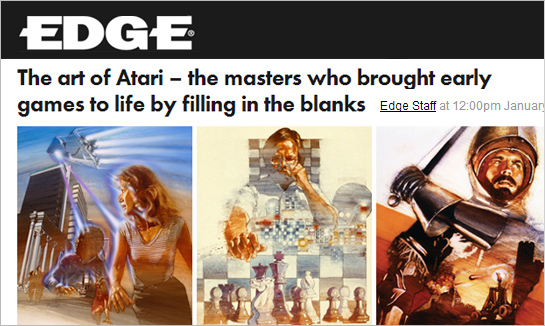 I am in great company, as some of the others interviewed for this story are now friends of mine, including amazing Atari artists Cliff Spohn, Steve Hendricks, John Enright, and Susan Jaekel. Definitely worth a read for another look behind the packaging of those great retro games.